The Shannara Chronicles Season 2: Waiting for ‘Shannara Chronicles’ next installment’s release? Your curiosity may come to an end by this news: TSC is back again with Season 2. In this article, we have mentioned all the details and information about the second installment. We will get to greet the upcoming show on Spike. Yes, its’ been changed from MTV to Spike. Out TV sets would be showing the season in the month of October. All the casting for the show had just ended up by taking place in New Zealand. The Shannara Chronicles Season 2 Release Date: When Will It Premiere? 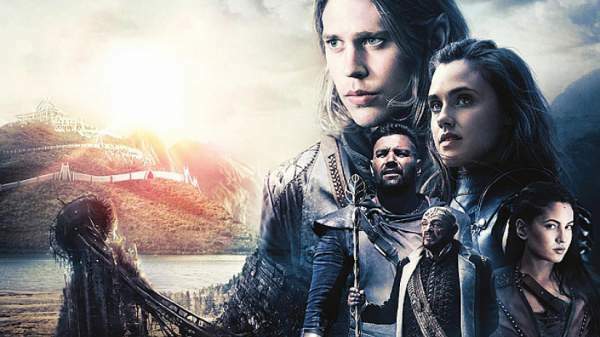 1 The Shannara Chronicles Season 2 Release Date: When Will It Premiere? 5 Who are the new entries in the TSC Season2? 6 Is Amberle Returning In TSC Season 2? Talking about the release date, I’d like to mention that any official date has not been signed yet for the show. But we have got to receive some notifications which reveal that the show will be aired in the month of October 2017. It has already been moved to Spike from MTV for the second installment. Till now, there hasn’t been out any news regarding the trailer for second segment. We may consider that it’s too soon for the team to show up the teaser. But we will provide you the trailer as soon as it arrives. S1 for Shannara Chronicles cast Manu Bennett as Allanon, Austin Butler as Wil Ohmsford and Ivana Basquero as Eretria and many more. This time some characters are given renewal. These are: Austin Butler, Ivana Baquero, Aaron Jakubenko, Manu Bennett and Marcus Vanco. The new season is all about hunting for The Four Lands in chaos. Also, looking out for an organization named ‘The Crimson’. Events and happenings related to the search are going to be casted in the upcoming installment. Someone is turning into devil side! Who’s that? Its’ Bandon! Yes, he is going to the black side. He is on a mission to restore- The Warlock Lord. Definitely Warlock Lord is bad. Some conversation with Baquero released out some facts about the new season. We get to hear that there is Will who’s on a hunt to find out Eretria. Also, the S2 will reveal about the identity of the person who was seen in the tunnels with the Trolls. Who’s turning evil? This fact will be given highlight in season2. New scenes and events would happen when one turns evil. All these would be shown up in season 2. Not only will a single piece of element be given light this time. But many events would be shown at the same time. This sounds much interesting than before! Who are the new entries in the TSC Season2? Many new entries are given chance in the brand new installment. While connecting with MTV, we get to hear that ‘Malese Jow’ would be entering Shannara Chronicles s2. Jow will be seen acting as Mareth. In her part, she is going to be an unpredictable and changeable kind of woman who has some magical super powers. She will be acting as a helper to Wil in searching out for some way to return back to his friends and get free from The Crimson. Another new entry is- Vanessa Morgan. She will be casting the role of Lyria who is a young woman that is having love link with Eretria. This part seems happy one. Finally, Eretria is going to have some love in life after all the danger parts. Gentry White will be given entry in the part of Garet. He wil be acting as- the wise cracking weapons master of the 4 lands. Garet is a hunter who uses his skills by taking some premium for the work. We feel that the entertainment part would be covered up by Garet. This seems exciting! Look whose coming? Caaroline Chikezie (Everly) acting up as Queen Tamlin. This is the part of one of a strong and crafty ruler of Leah. Leah acts as the only human kingdom amongst the 4 lands. Queen Tamlin’s character is somewhat like a ruthless weapons manufacturer. The queen is using her royal power and esteem for creating some political bonds with elves. That sounds clever. One more part is been added up in the second season. This is for Desmond Chiam (Bones) as General Riga. The General acts up as the leader for the soldier group- The Crimson. Is Amberle Returning In TSC Season 2? All the fans might be wishing to get him back. Till now, we haven’t mentioned the name of Drayton Amberle in the list of cast for season 2. But how can we not hope for his return? We can’t deny her upcoming. Probably, chances are that she may have enter into contracts with the Season2 again. And she’ll be returning with some extremely new character in the show. Her personal likeness was true for the show. In the season 1, she was given an early exit. A year after the events of last season, The Four Lands is in chaos. The re-emergence of magic has the populace terrified, and an organization called The Crimson is hunting down magic users, using fear and intimidation to sow discord among the races. Wil, scarred by the loss of Amberle and his separation from Eretria, has turned his back on his magical destiny to become a healer. But when a mysterious woman named Mareth saves Wil from a Crimson attack, he is forced to rejoin the fight. After reuniting with Eretria, Wil and Mareth seek out Allanon, only to learn that the Druid’s former protégé, Bandon, is on a mission to resurrect a creature of darkest evil: The Warlock Lord. Together, our heroes must band together to take down The Crimson and prevent Bandon from unleashing an even greater threat upon the Four Lands, before it’s too late. For more updates and news about The Shannara Chronicles Season 2, stay tuned and connected to The Reporter Times for more!